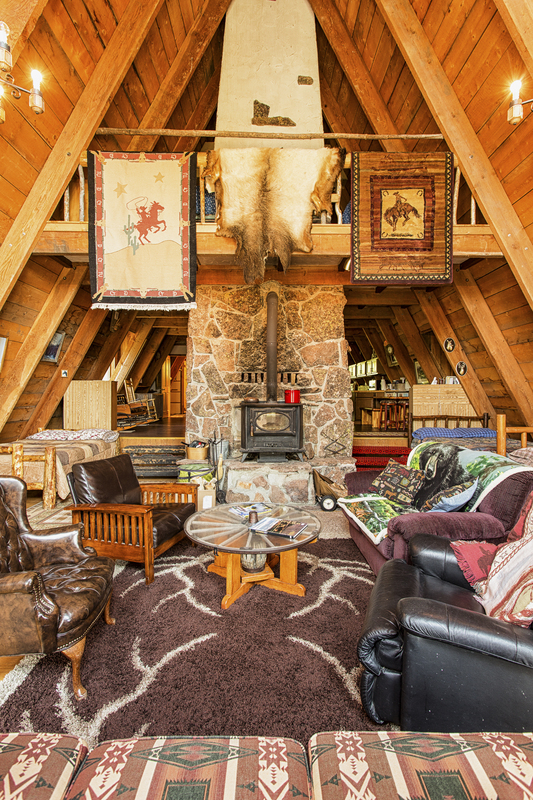 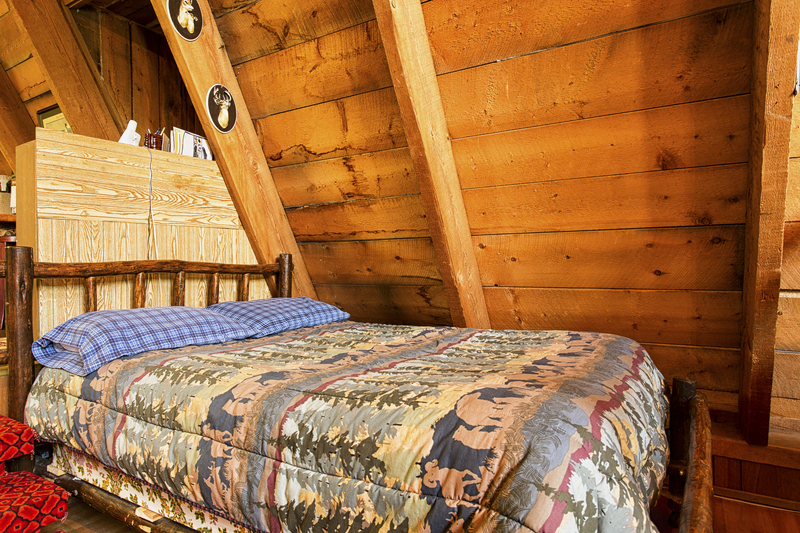 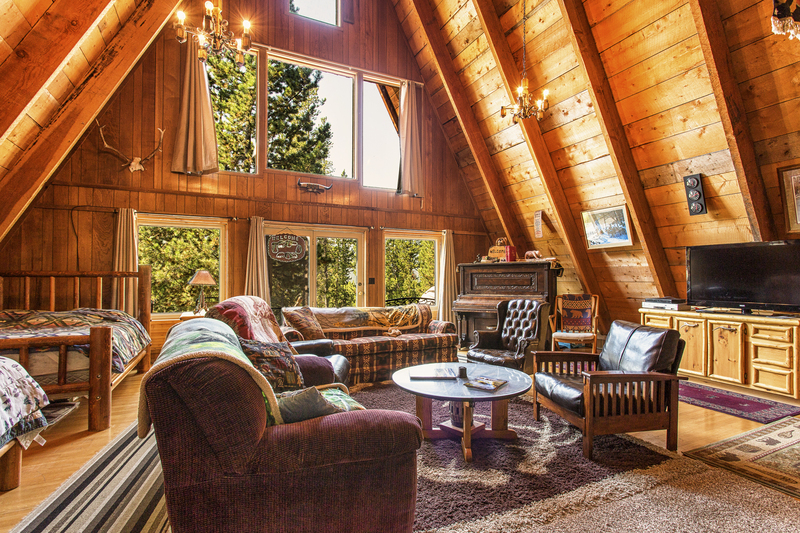 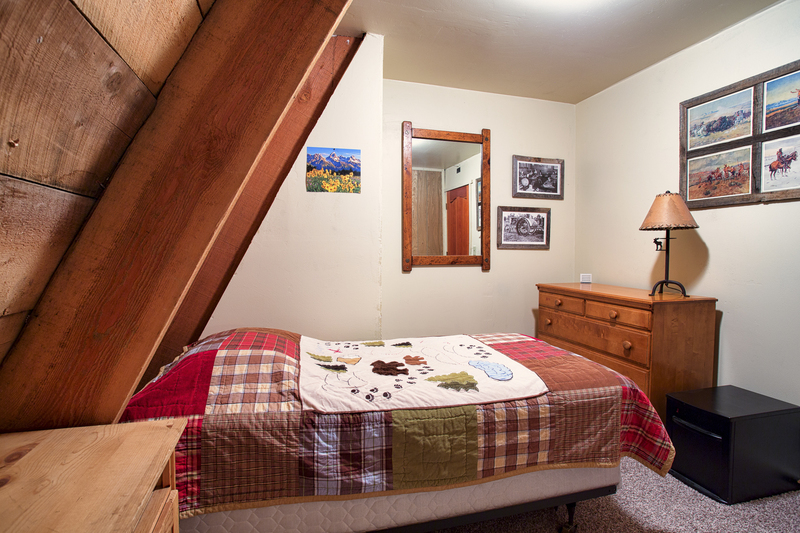 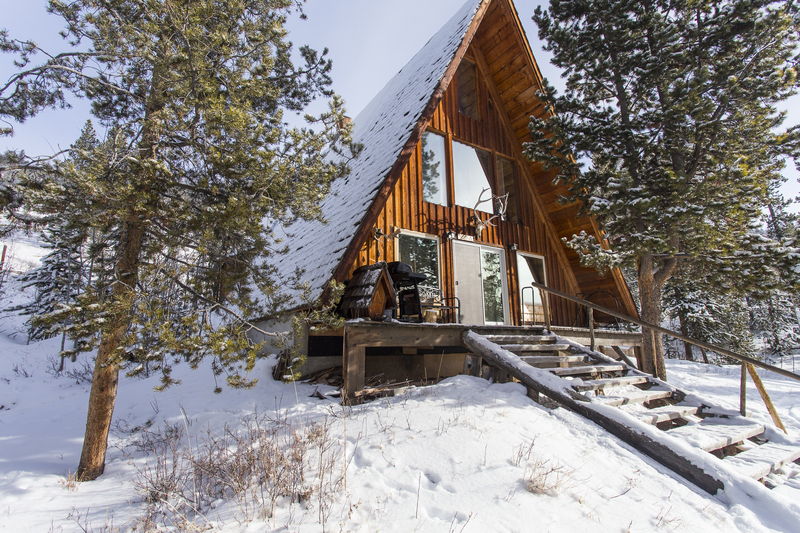 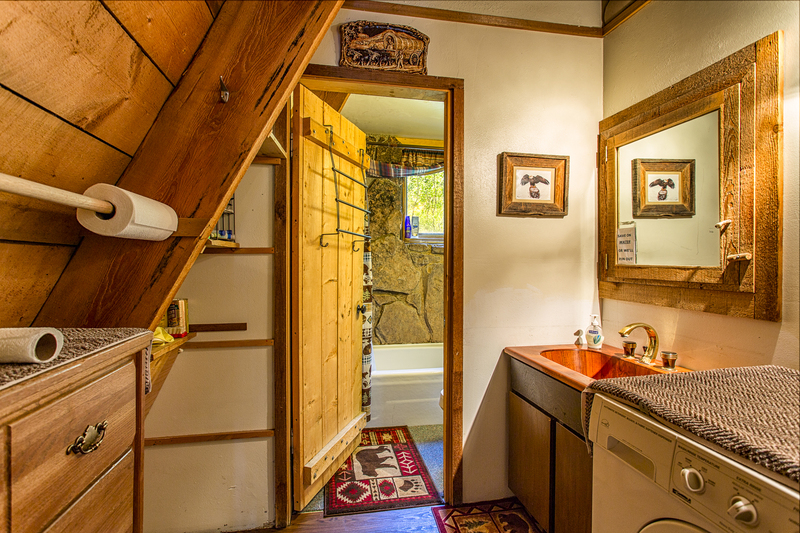 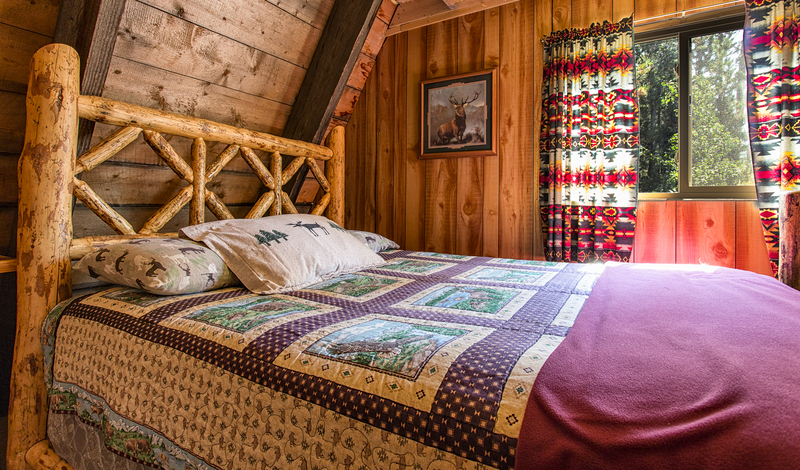 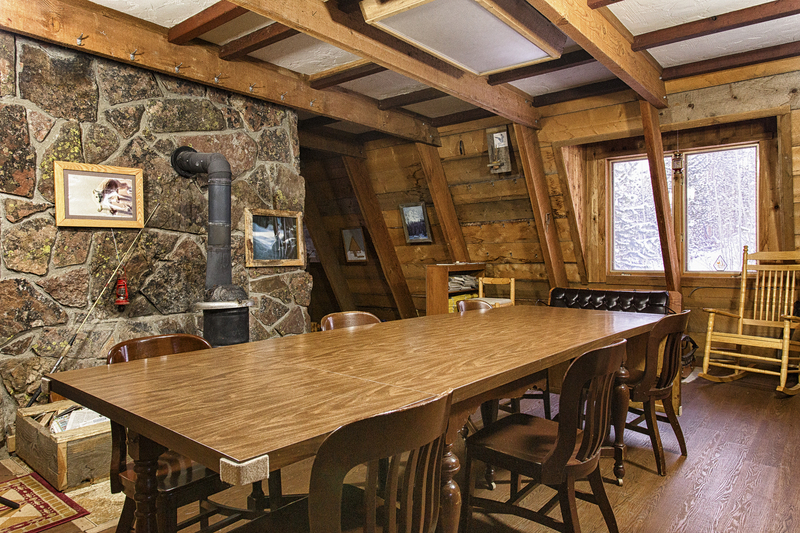 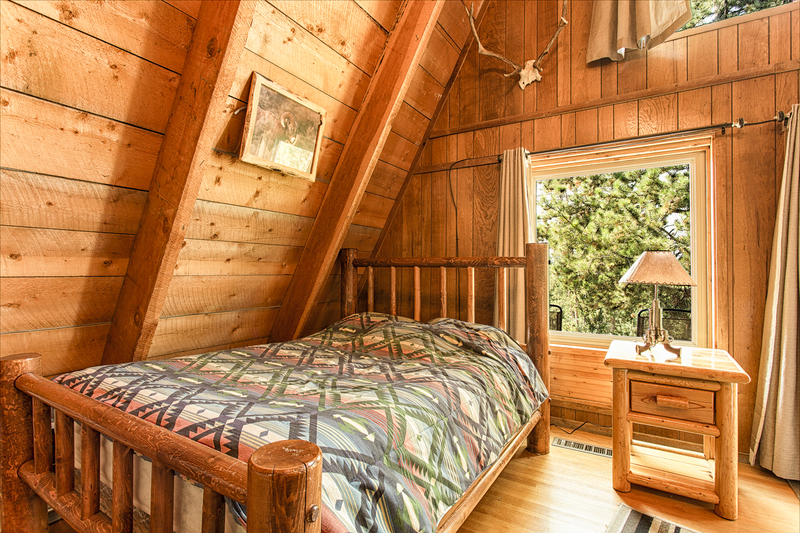 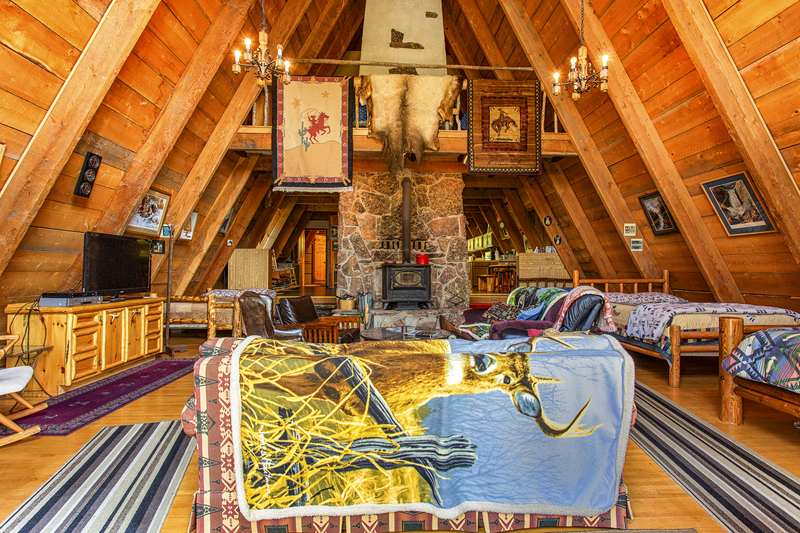 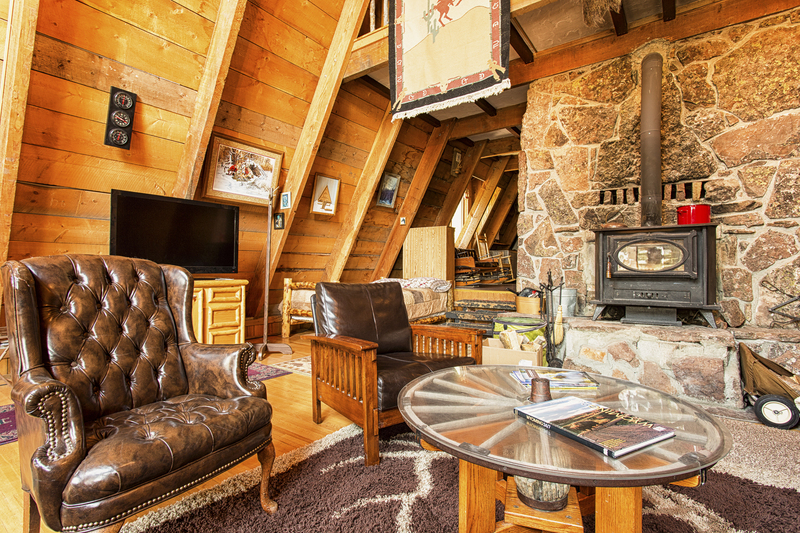 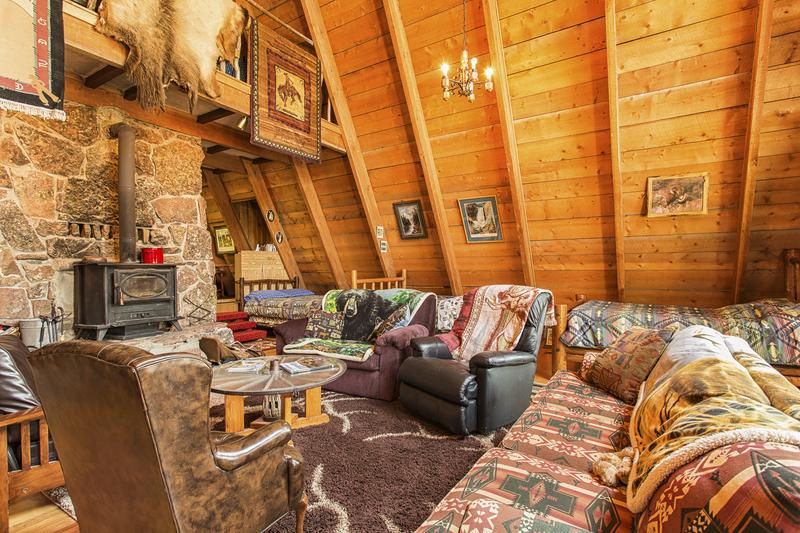 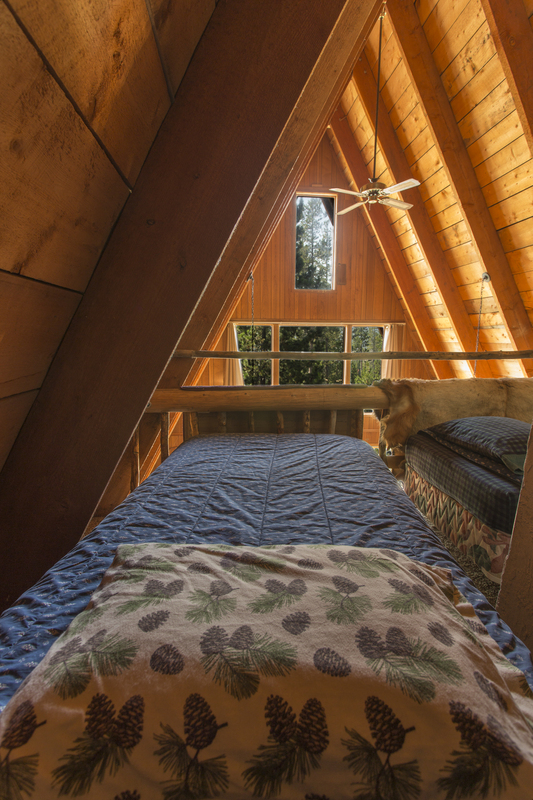 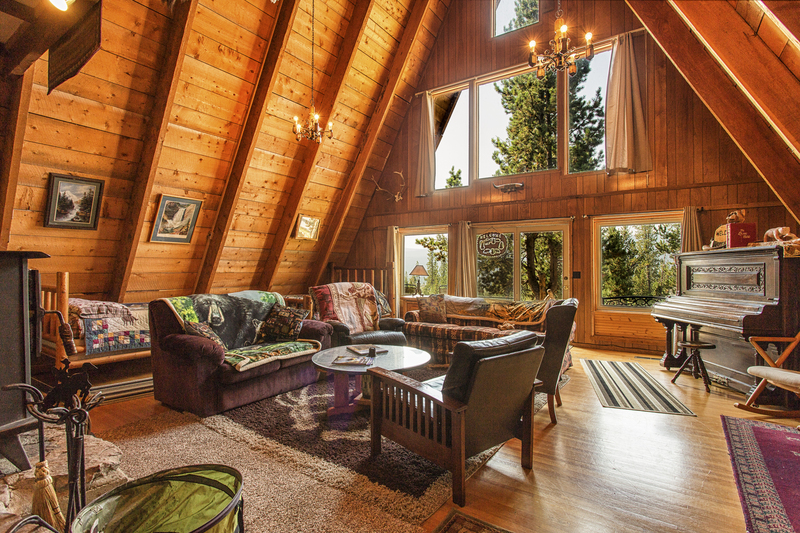 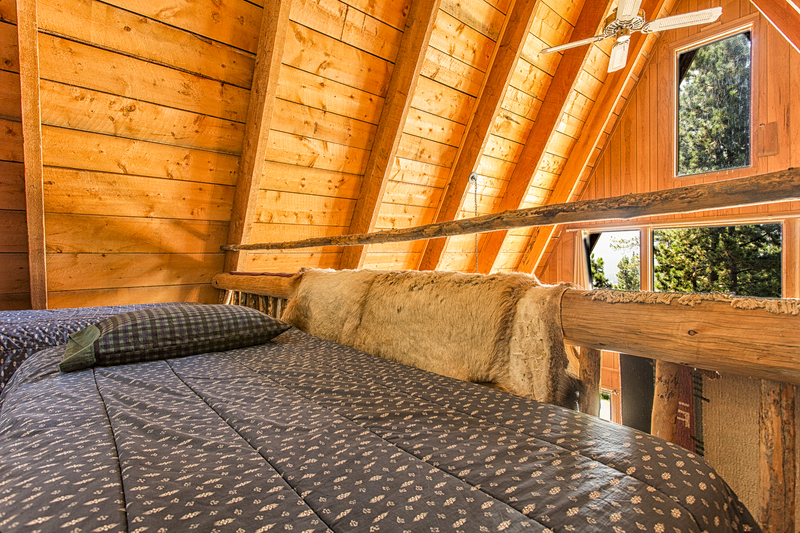 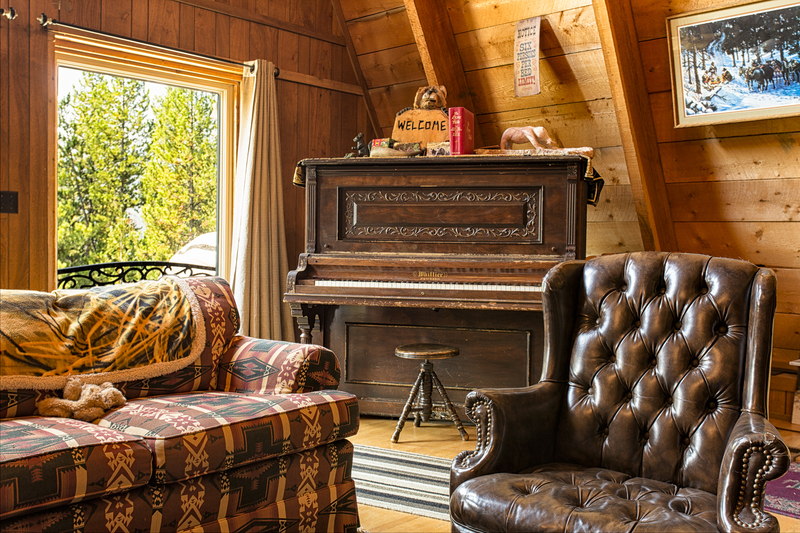 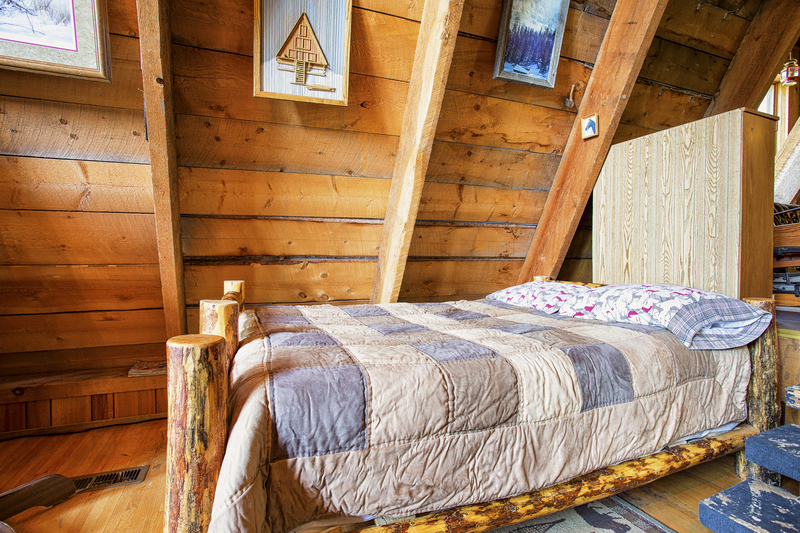 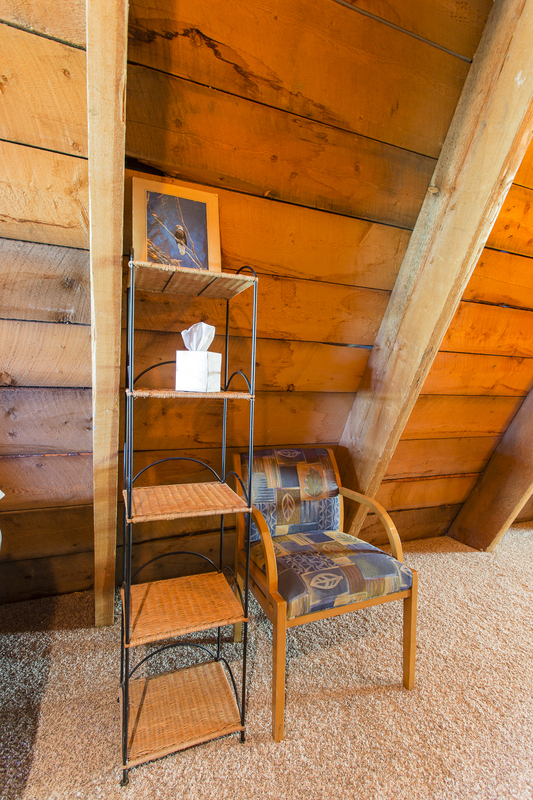 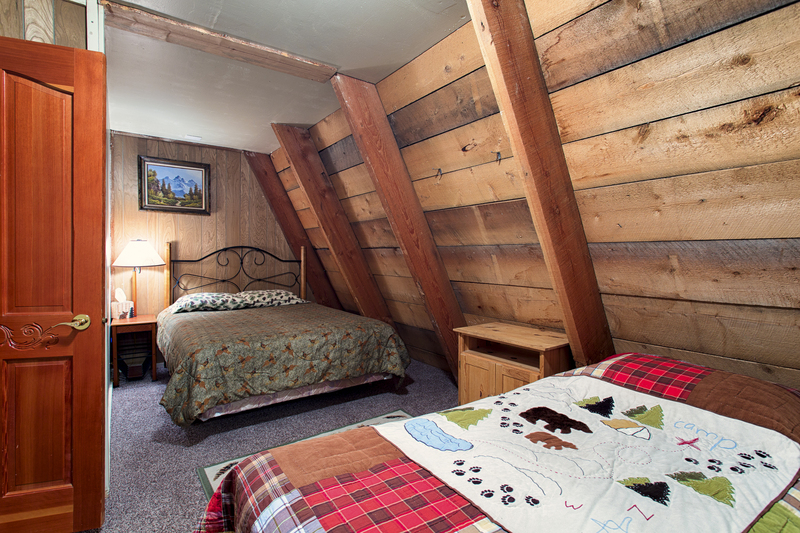 Bring your extended family, snowmobile party, or hunting group to this quiet and secluded rustic A-frame in the woods! 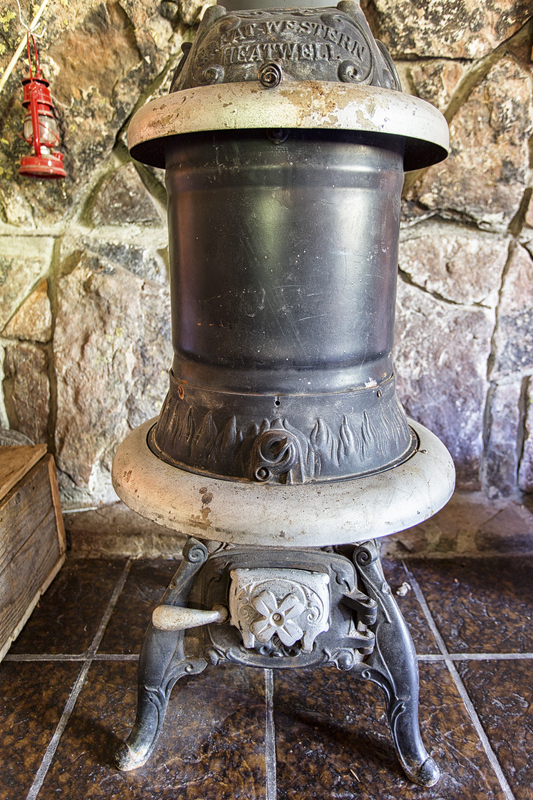 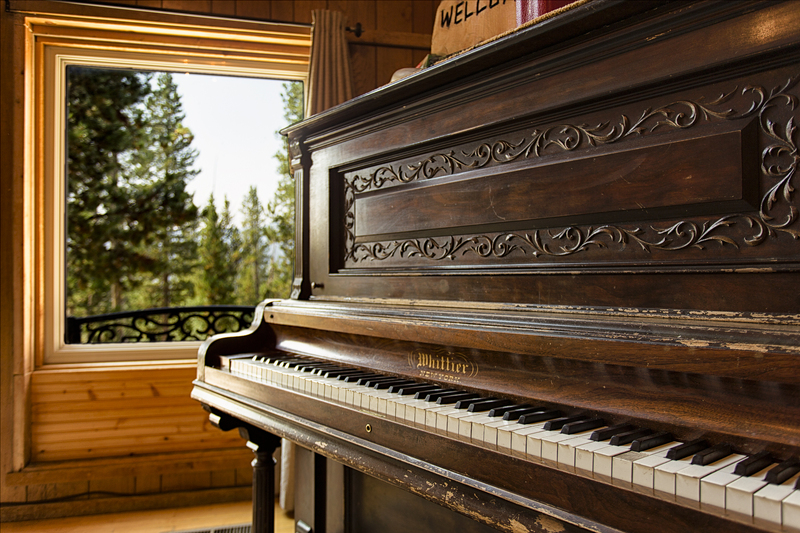 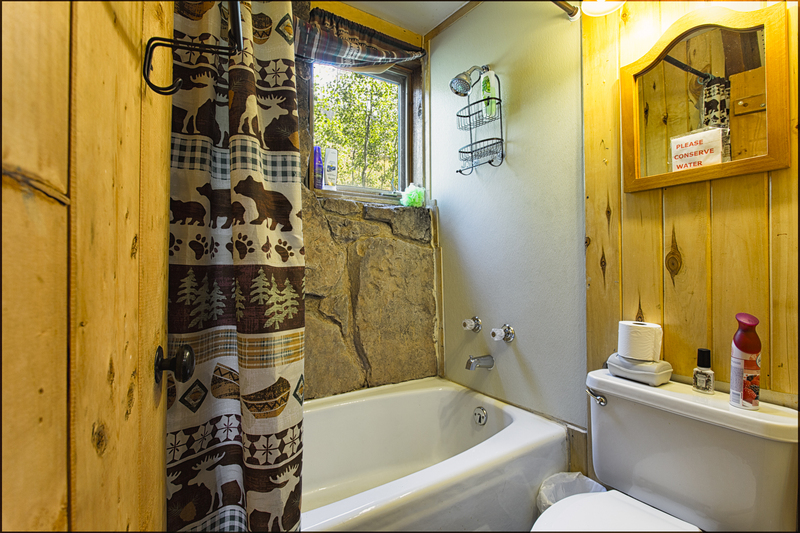 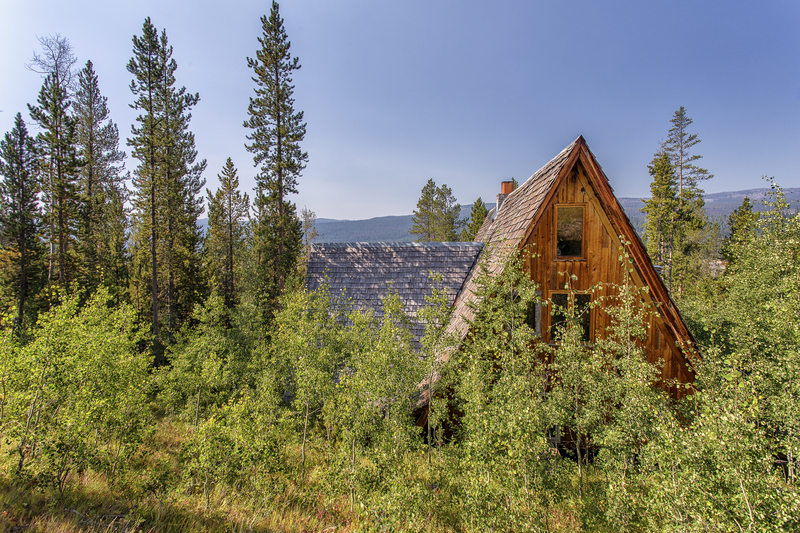 The property is surrounded by pines and aspens and borders the Shoshone National Forest. 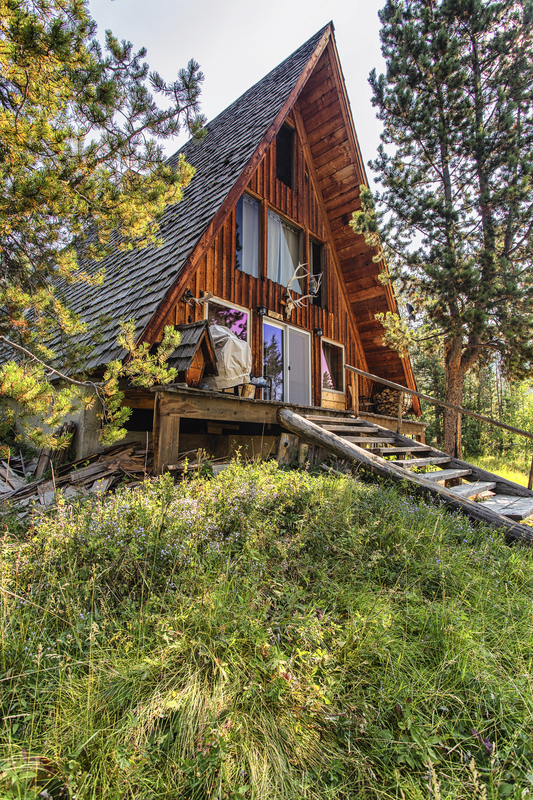 This property is near the other cabins, yet private on it’s own. 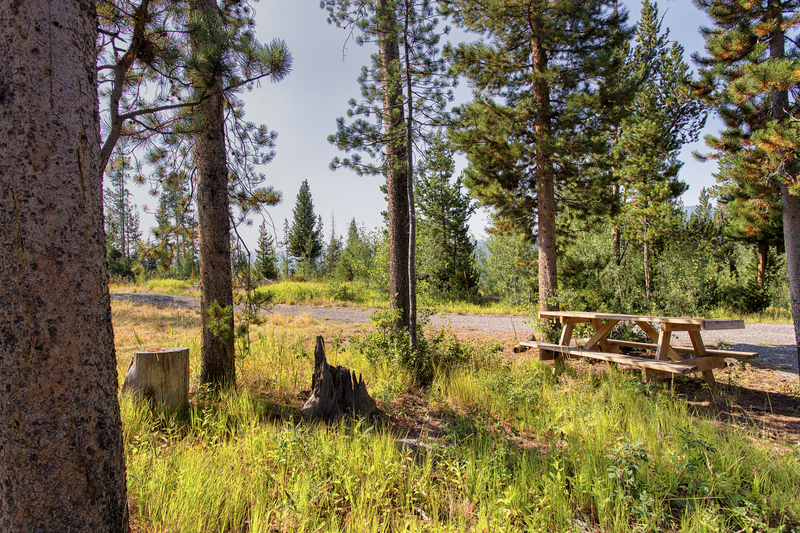 Combine two or three properties for very large groups! 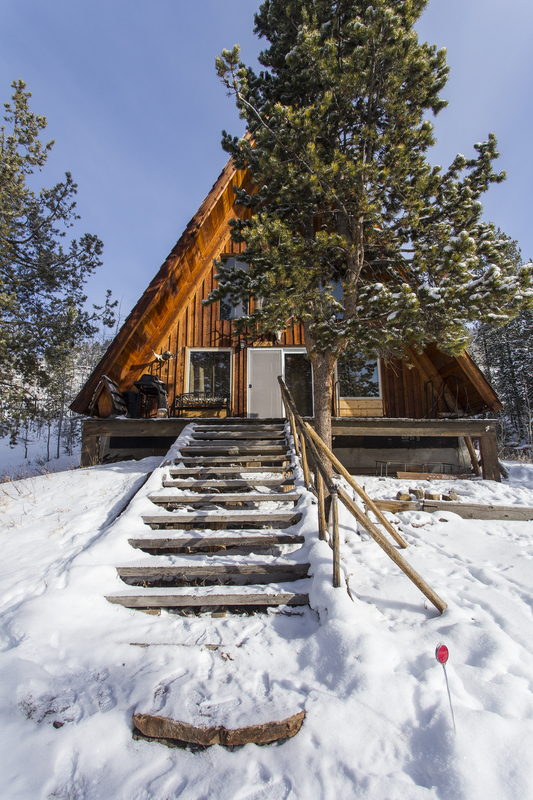 Very private with easy access off highway and lots of parking. 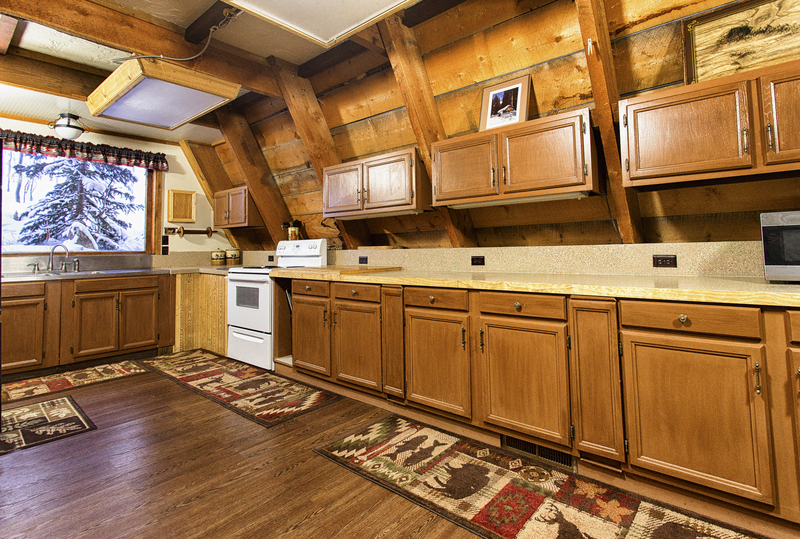 Huge dining room table, extra large kitchen, big living room.